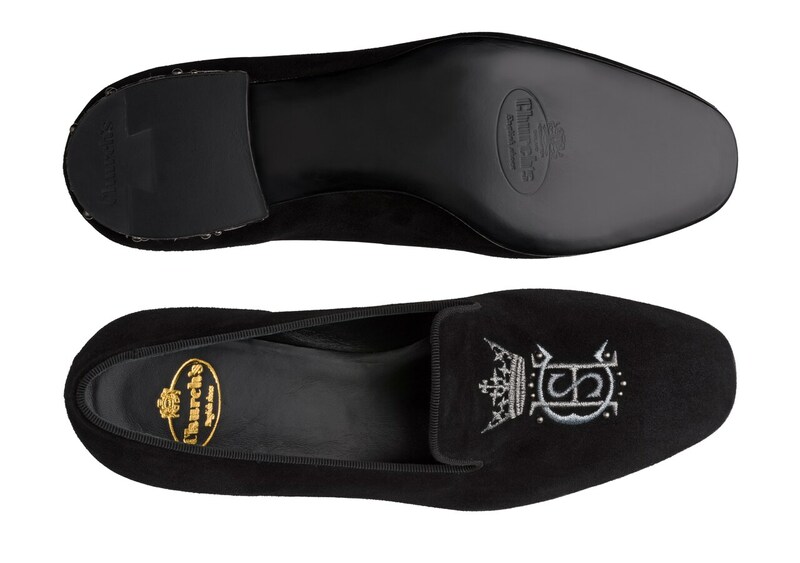 The Arielle loafer channels a regal mood with its plush suede upper and stately detailing. Crafted with an almond-shaped toe and a slim silhouette, its luxurious look is made for sophisticated day to evening dressing. 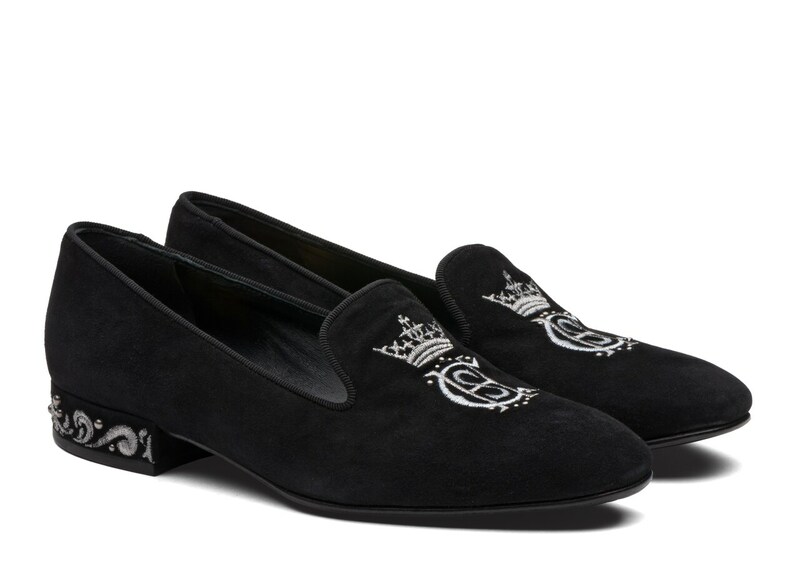 A crown and crest are embroidered on the vamp in glittering metallic thread, echoing its history as a shoe favoured by nobility. Bright silver-tone studs are mixed in with this bold insignia and the swirling patterns on the heel, keeping things contemporary. Pair these versatile slippers with soft tailoring and lace blouses, or contrast with distressed denim.